Robotic Assisted Partial Nephrectomy (RAPN) or Robotic Assisted Radical Nephrectomy (RARN) are procedures where the robotic technology is used to operate on the kidney to remove abnormal (usually malignant) growths. Partial nephrectomy involves removal of the growth only and the rest of the kidney is preserved. On the contrary during radical nephrectomy the entire kidney together with the growth is removed. Partial nephrectomy aims to treat the growth and preserve as much kidney tissue as possible in order to preserve more function. 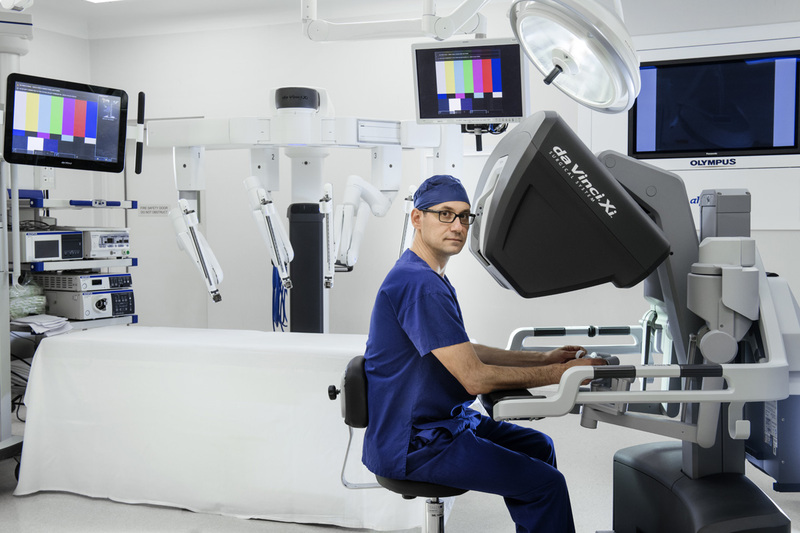 The benefit of the robotic approach lies in the ability of the surgeon to perform meticulous dissection, remove the growth with minimal blood loss, preserving as much normal tissue as possible through a minimally invasive approach. Other potential postoperative complications such as urine leak and positive surgical margin are also lower. In comparison, the open approach to perform partial nephrectomy is done through a 15-20cm incision in the flank or in front under the ribs to be able to access the kidney. Sometimes the 12th rib also needs to be removed. This results in a much longer recovery, more pain and sometimes weakness/bulge in the area of the scar due to a hernia or a lack of nerve supply to the tissues. Radical nephrectomy involves removal of the entire kidney. This technique is used to treat larger or more complex tumours that are usually not amenable to partial nephrectomy. Sometimes nephrectomy is performed for trauma or for kidneys that are non-functioning. Depending on multiple factors there are several approaches to treat kidney pathology. Dr Penkoff will discuss with you which approach is best in your individual case.